One of the challenges for a leader is to know when ‘coaching’ is the tool to pull out of the kit bag. 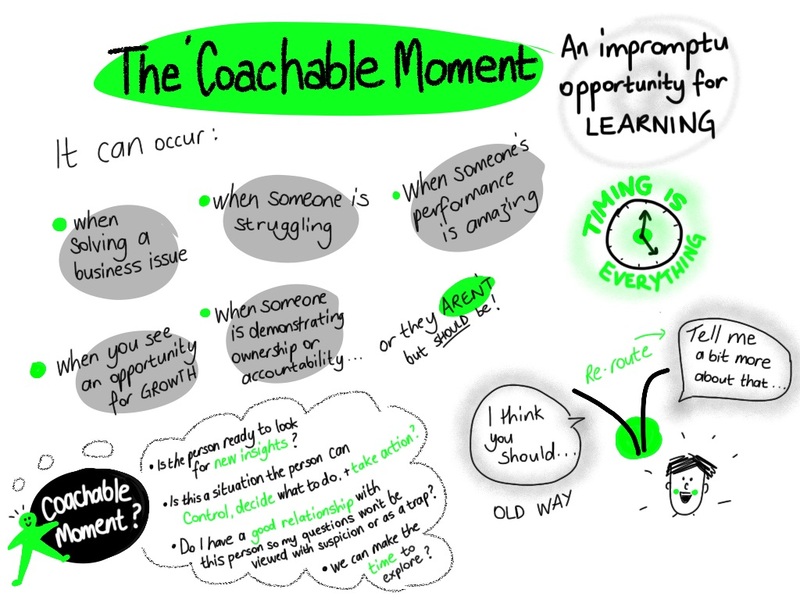 How do you recognise the ‘coachable moment’? 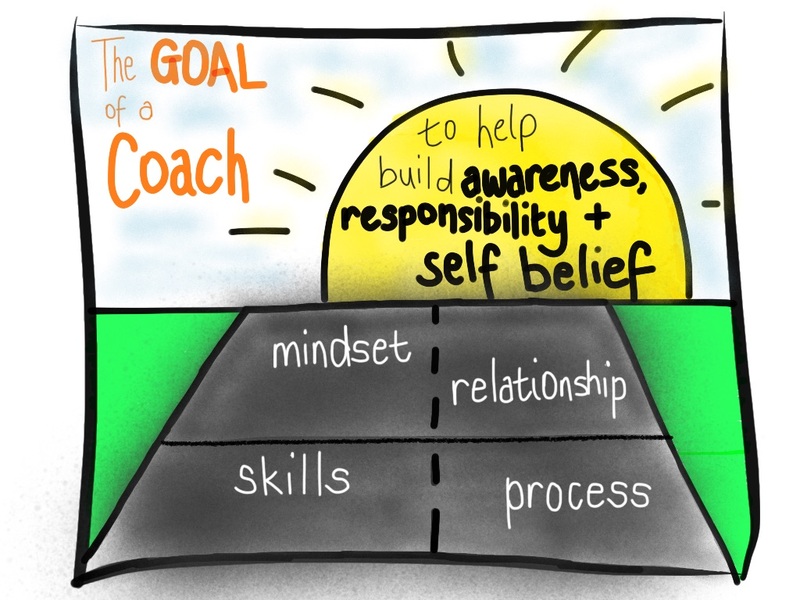 We see coaching as a package of 4 things – skills (effective questions, active listening, diagnosis and providing effective feedback), mindset (about what the coachee has potential to achieve), relationship (trust + rapport) and process (we like to use GROW). As we wrote about in our blog ‘Coaching is not helpful!’, there is a general acceptance that it is a ‘good thing’ for managers to do more coaching of their staff, however that doesn’t mean that managers don’t approach it with some trepidation, discomfort or lack of confidence. Some of this stems from their pre-conceptions of what coaching is and whether it is right for them. Some also stems from knowing when is the ‘right’ time to coach. There are quite detailed definitions of coaching, but when you think of coaching more simply, it helps open to your eyes to the ‘coachable moment’. We think of coaching as ‘helping people with their thinking’. 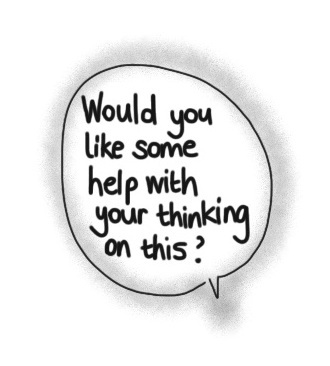 So…when a team member needs help with their thinking, you may either set up a more formal opportunity to do this in a one-on-one discussion, or you may find an informal opportunity that pops up ‘in the moment’, at the water cooler, by their desk or even in the lift! If you see the moment – see if the other person is open to a coaching conversation, ask them ‘would you like some help with your thinking on this?’ You’ve noticed the coachable moment. And this applies to anyone you work with – a direct report, a peer – or even your boss! when someone is demonstrating ownership or accountability – or if they are not but should be! Is the person ready and willing to be open to new insights? Is this a situation where the person can control things, decide what to do (and what not to do) and take the actions? Is the relationship strong enough so the person doesn’t view your questions with suspicion – or think there is a hidden agenda? Is this the time to explore it properly – do we do it now or arrange another time to explore their thinking with them?